Fifteen kilometers from the finish of Paris-Roubaix, it looked like Peter Sagan (Bora-Hansgrohe), winner of the 2018 edition of the Hell of the North, had this wrapped up. He was about to defend his title and crown his spring campaign a success. 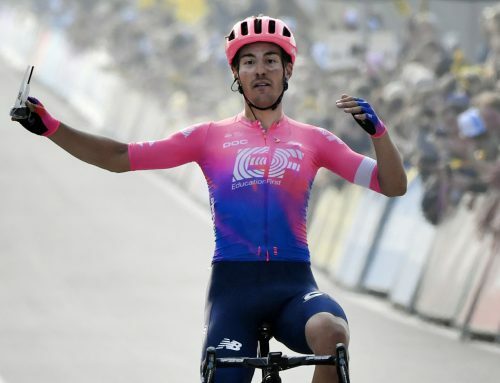 He was the man with the fastest sprint in an elite group of six riders that contained Yves Lampaert and Philippe Gilbert (Deceuninck-QuickStep), Wout van Aert (Jumbo-Visma), Nils Politt (Katusha-Alpecin) and Sep Vanmarcke (EF Education First). Knock those fifteen kilometers off, turn onto the famed banked oval of the velodrome in Roubaix and finish the job. Add another chapter to the Sagan legend and erase all that nervous talk about the reasons for his underwhelming results so far this season. 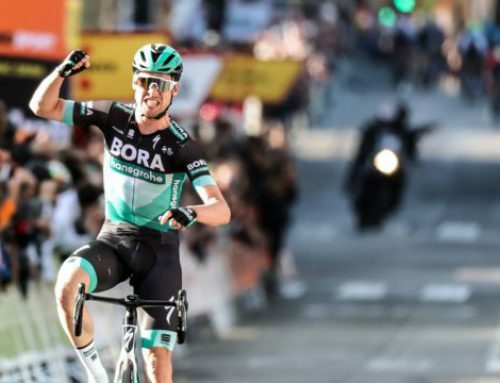 Really, it looked like a sure thing because nobody in that group is going to beat the three-time world champion in a sprint — not even after 250 kilometers with 54 of them over the bone-rattling, spirit-crushing cobblestones. Who was going to beat Sagan? Wout van Aert had endured several crashes, a bike change and plenty of extra work chasing back. His was perhaps the most impressive performance in the race but he had to be running on empty. Sep Vanmarcke had to be happy just to have made the final selection after a heavy crash in E3 a few weeks ago had injured his knee. 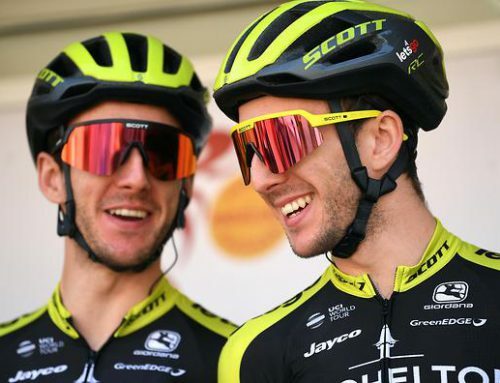 He wasn’t even sure he could ride Flanders last week and while he put in a strong ride to help teammate Alberto Bettiol take a surprise win, was he really going to get the jump on Sagan? While much can be said of Nils Politt, who was outstanding for Katusha-Alpecin, winning a sprint finish wasn’t a good bet. The big German was impressive in muscling his way over the cobblestones but wasn’t he just too big to out-sprint Sagan? And while there’s no doubt that Yves Lampaert is an excellent time-trialer and the perfect counter-punch to teammate Gilbert, his role in the squad isn’t to win sprints. That left the 36 year old Gilbert with the task of beating Sagan in what we assumed would be a track sprint. Possible, not probable. Gilbert looked fantastic and confident at every moment in the race, but surely, Sagan would get the best of him, the turbo outracing the diesel engine. 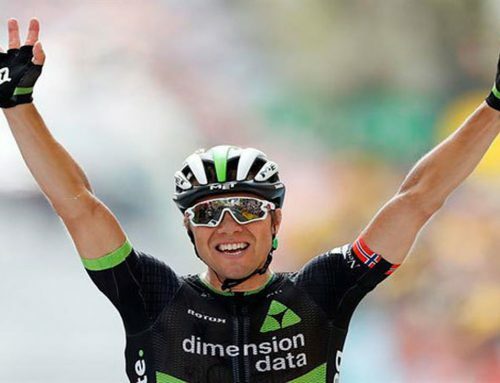 Yes, with 15 kilometers to go, the odds were in Sagan’s favor. Sadly, a half kilometer later, his chances to win Paris-Roubaix twice in a row were doomed. On the cobblestone sector of Gruson, Politt attacked and only Gilbert had the legs to follow. Just like in Flanders the weekend before, Sagan suddenly, unexpectedly, faded. Politt and Gilbert worked well together, knocking out a gap that went from ten to twenty to forty to impossible to bring back. It was hopeless for Sagan and van Aert and with three kilometers to go, Gilbert’s teammate Lampaert was able to dump them both. It would be first and third for the Deceuninck-QuickStep due with Politt sandwiched in between. 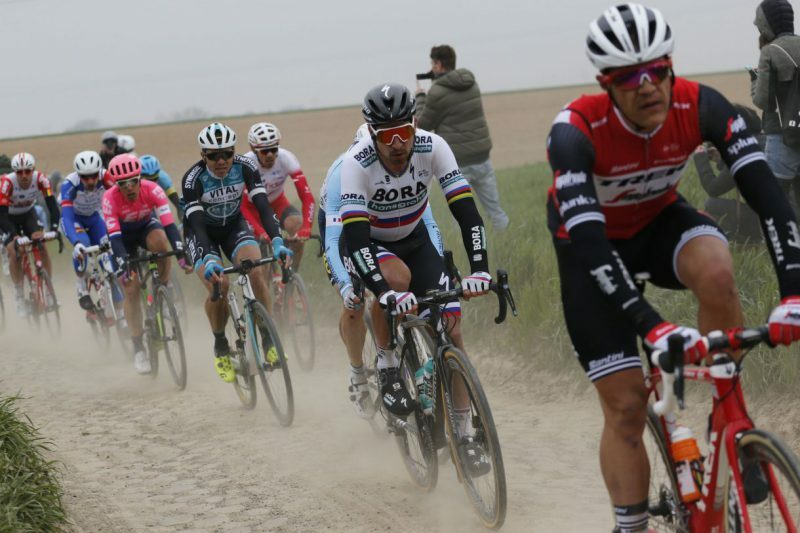 Peter Sagan had Paris-Roubaix won with fifteen kilometers to go. And then all of a sudden he didn’t.